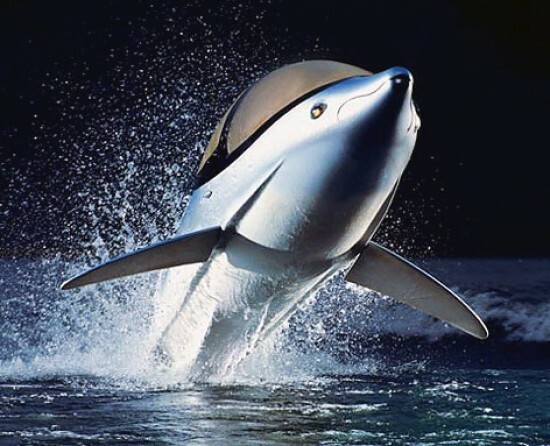 Innespace’s Seabreacher Dolphin resembles a stylized dolphin, complete with dorsal fin and flippers that can leap from the water and dive into it, as well as perform “aquabatics”. Seabreachers enable their controllers to maneuver swiftly through the water: diving, jumping, rolling, porpoising… all within the safety and comfort of a dry, sealed cockpit. 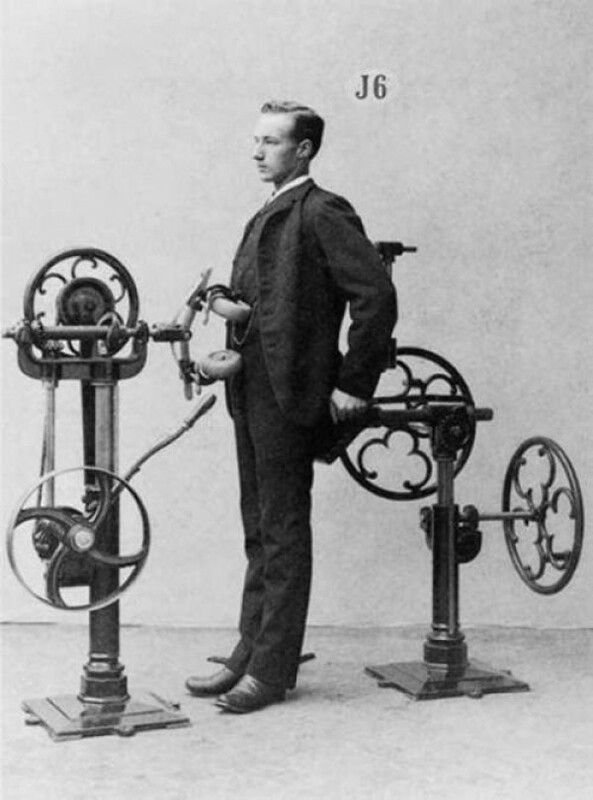 A nice collection of photos of exercise machines from circa 1920. Have a hard time waking up in the morning? 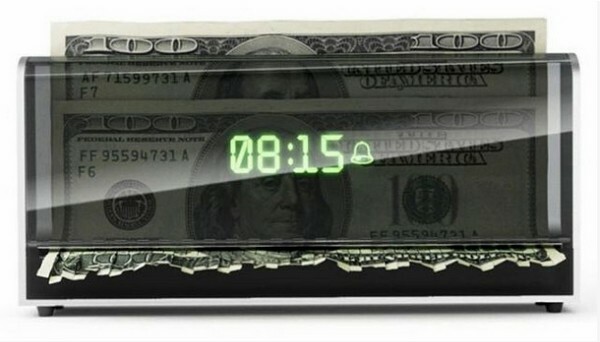 Try this alarm clock, which begins shredding a dollar bill (or your choice of banknote) from the time the alarm goes off. Be careful, though – Mashable reminds us that willfully destroying American currency is a federal offense. 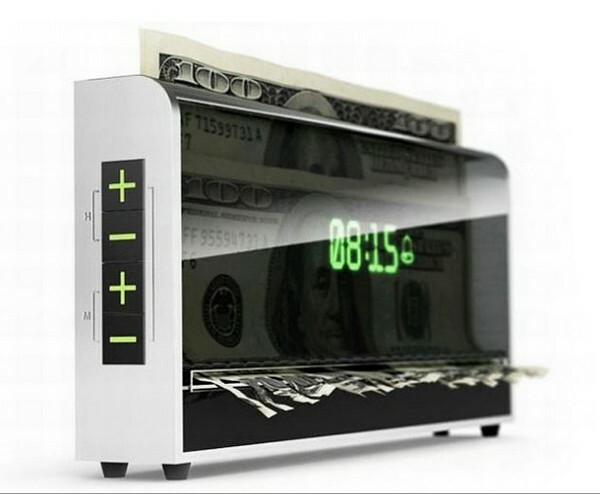 The clock is probably a design concept and it’s been doing the rounds in various tech blogs this past week with no mention of who made it. The concept was conceived by the US military as a means to gather real-time data for soldiers, and the Army has awarded the University of Michigan College of Engineering a five year $10-million dollar grant to develop it. Light Blue Opitcs has won the Institution of Engineering and Technology (IET) Innovation Awards 2010 prize for Product Design with its Light Touch – an interactive projector that turns any flat surface into a touch screen. 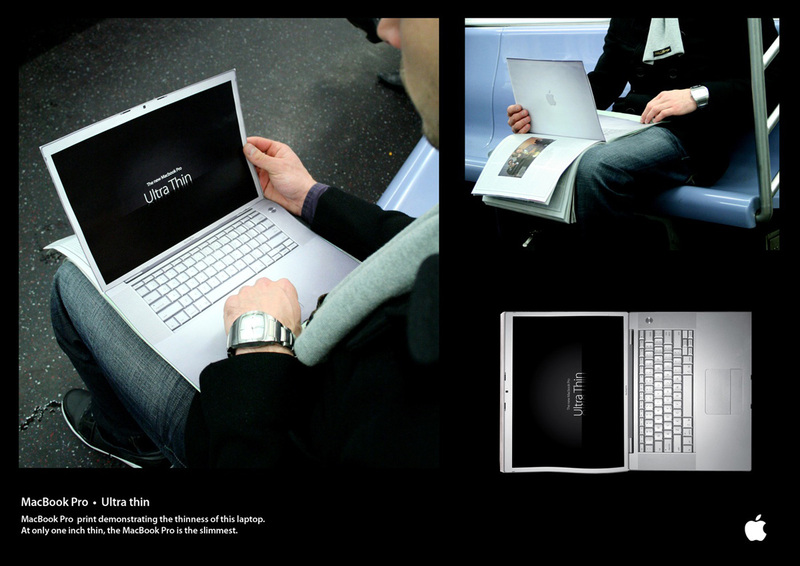 Light Touch™ not only frees multimedia content from the confines of the small screen, but also lets users interact with that content in the same way as they expect to on their other hand-held devices – using touch technology.